Police Controlled Bomb Squad Robot Inspecting A Suspicious Backpack.. Stock Photo, Picture And Royalty Free Image. Image 58972052. 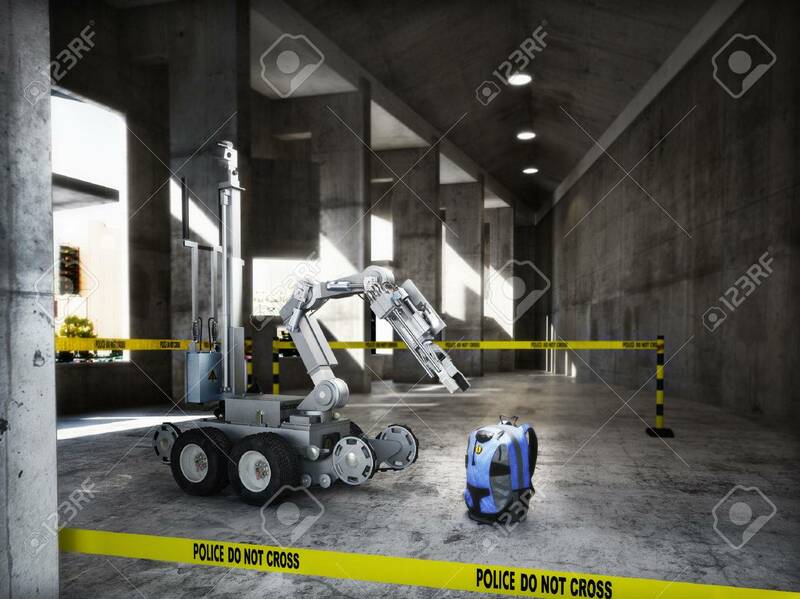 Stock Photo - Police controlled bomb squad robot inspecting a suspicious backpack item inside a building interior.3d rendering. Police controlled bomb squad robot inspecting a suspicious backpack item inside a building interior.3d rendering.